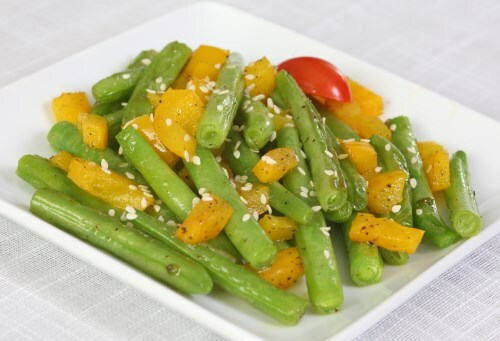 Place the green beans into a steamer insert and set in a pot over one inch of water. Bring to a boil, cover and steam for 5 minutes. Remove from the heat and transfer beans to a serving bowl. Meanwhile, in a small bowl, stir together the soy sauce, miso paste, red pepper flakes, garlic and ginger. Pour over the green beans and toss to coat. Sprinkle sesame seeds on top.